For the last six years, Captain has stayed by his owner's side. Nothing could tear him from his dearest companion - even death. 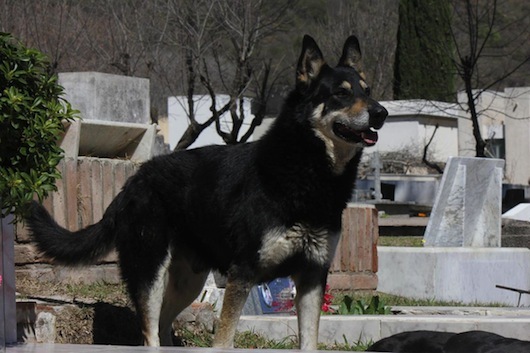 Captain ran away from his home once his owner and best friend, Manuel Guzman, died in 2006. A week later Manuel's family found Captain in the most unlikely of places. 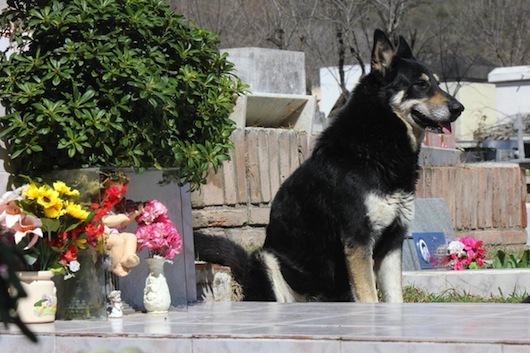 The dog was at Manuel's gravesite located in the same town of Cordoba, Argentina. According to Manuel's widow Veronica, "We had never taken him to the cemetery so it is a mystery how he managed to find the place." Now, for the past six years, the Guzman family goes to the cemetery to visit Manuel - and Captain. 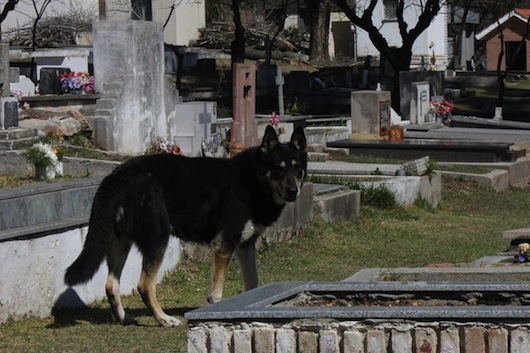 Although the dog will sometimes leave the cemetery to visit his family and eat, he always returns there to keep a vigil for the best friend he lost. 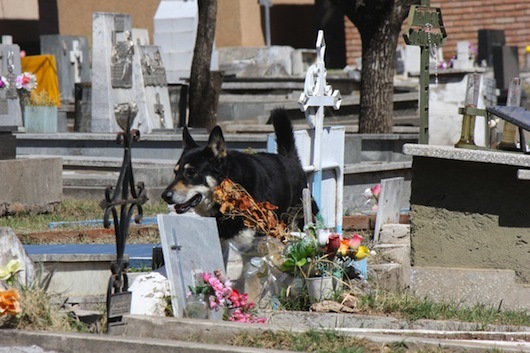 The staff at the cemetery happily feed and take care of Captain during the day and don't restrict him from visiting Manuel whenever he would like. “During the day he sometimes has a walk around the cemetery, but always rushes back to the grave. And every day, at six o’clock sharp, he lies down on top of the grave and stays there all night," according to one of the staff members. Although it's hard on the family, they let Captain stay by Manuel's side. Now THAT is a story of unconditional love. "During the day he sometimes has a walk around the cemetery, but always rushes back to the grave. And every day, at six o’clock sharp, he lies down on top of the grave and stays there all night," according to one of the staff members.